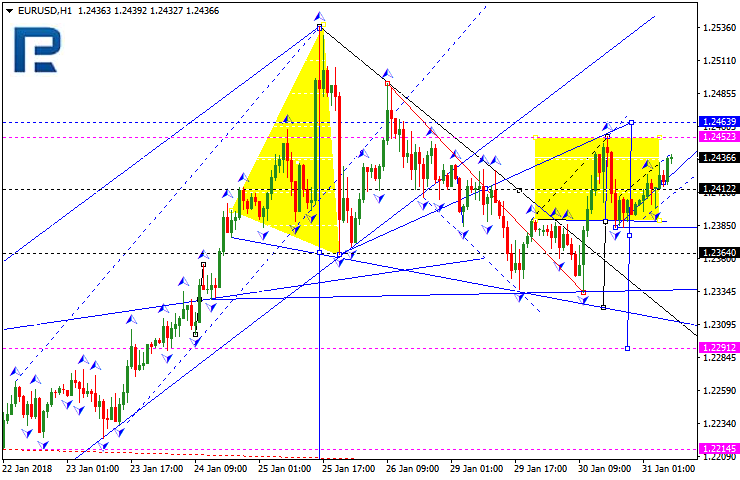 The EUR/USD pair is trading upwards; this structure may be considered as a correction that may reach 1.2464. Later, in our opinion, the market may start another decline towards 1.2323. 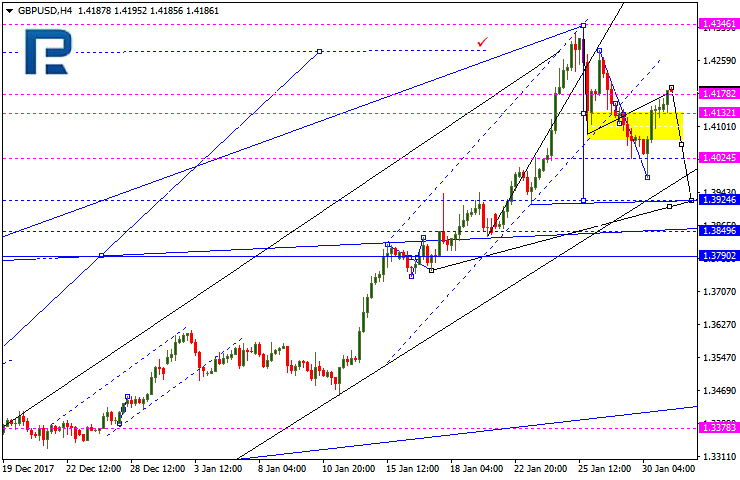 The GBP/USD pair is growing; this growth may be considered as a correction with the target at 1.4220. 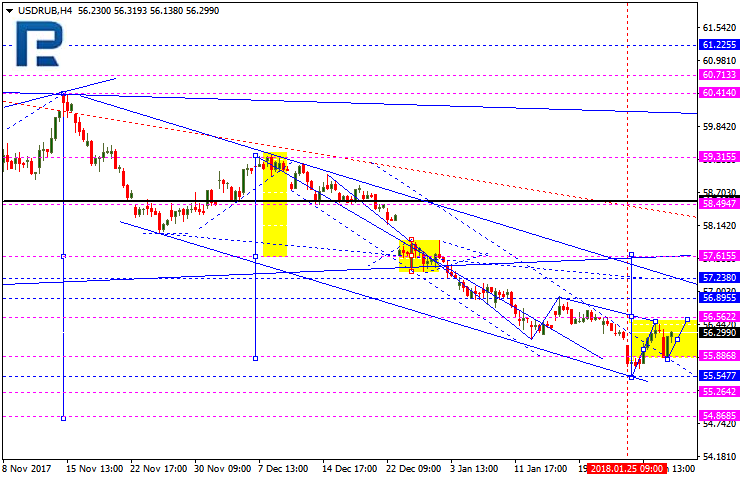 After that, the instrument may form another structure to the downside to reach 1.3950. The USD/CHF pair is moving downwards. 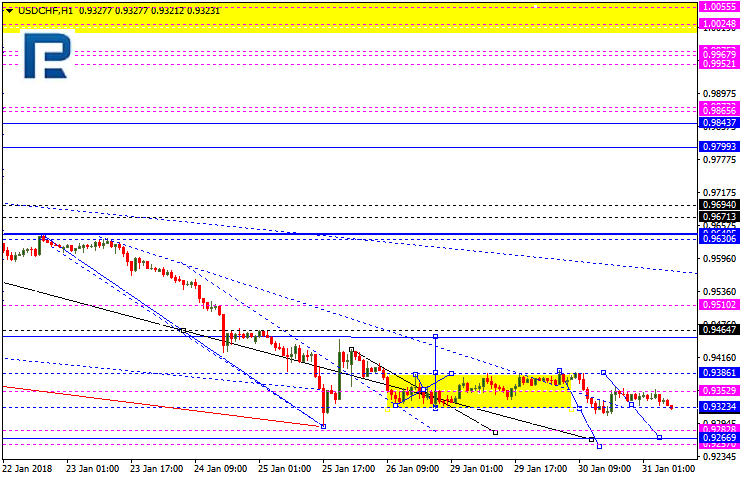 Possibly, the price may reach 0.9270 and then grow towards the first target at 0.9465. The USD/JPY pair is falling; after breaking 108.65, it may continue moving downwards to reach 108.14. 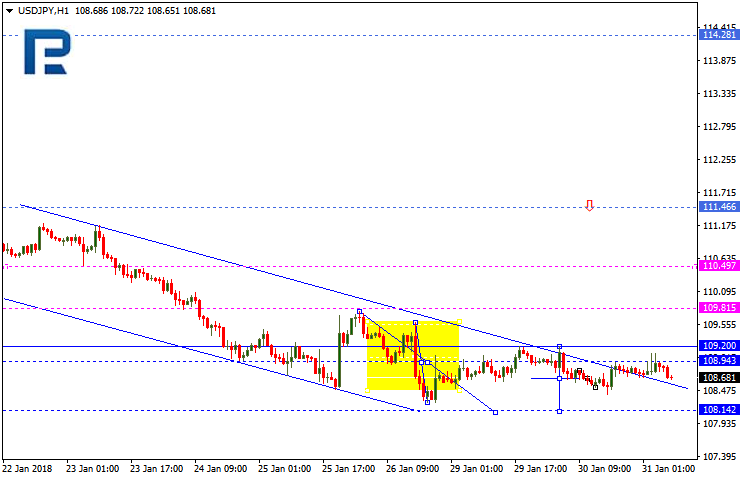 We think, today the price may reach this level and then start a new growth with the first target at 110.50. 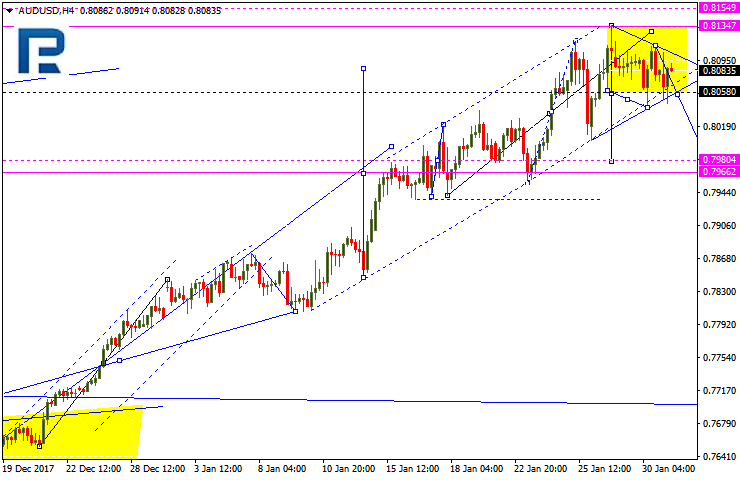 The AUD/USD pair is consolidating at the top. According to the main scenario, the price may fall to break 0.8004 and then continue trading to the downside to reach the target at 0.7980. Gold is moving upwards. 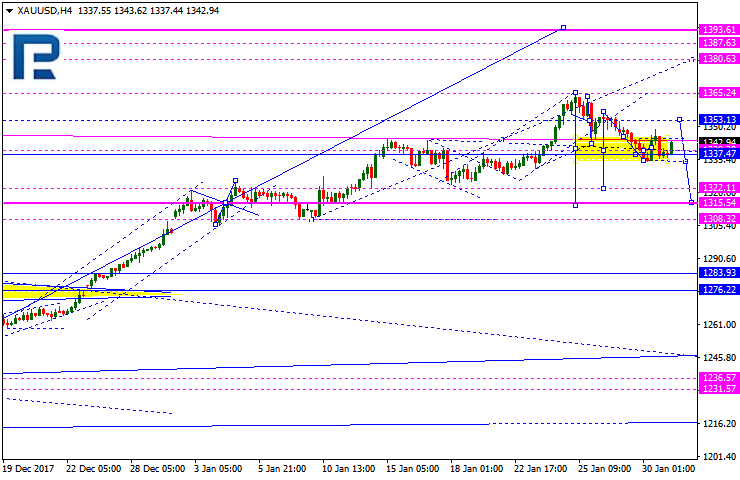 Possibly, today the price may start another correction to reach 1383.00. Later, in our opinion, the market may resume falling towards 1315.00. 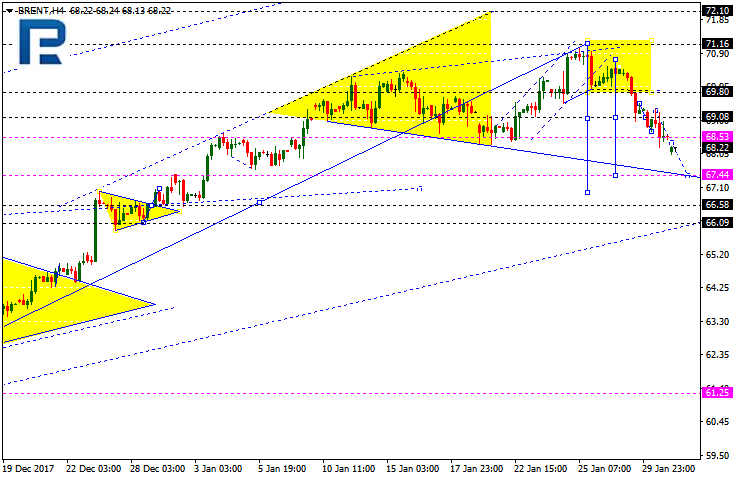 Brent has broken 69.08 and formed a downside continuation pattern there. Possibly, the price may continue falling to reach the short-term target at 67.44.